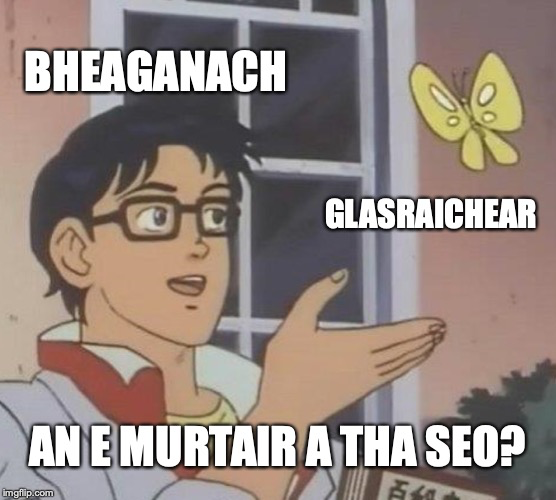 Researchers at the UHI campus in Poolewe have discovered that 87% of all Facebook traffic in the last month has been people posting pro and anti Vegan shitposts. 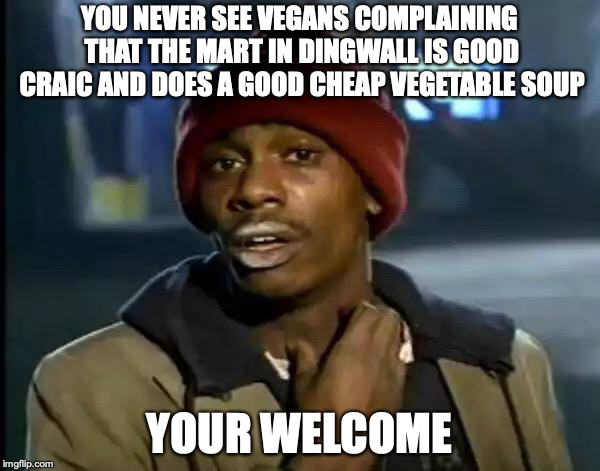 Vegan January was a big social media sensation with people giving up meat like some type of secular Lent for the Damned. 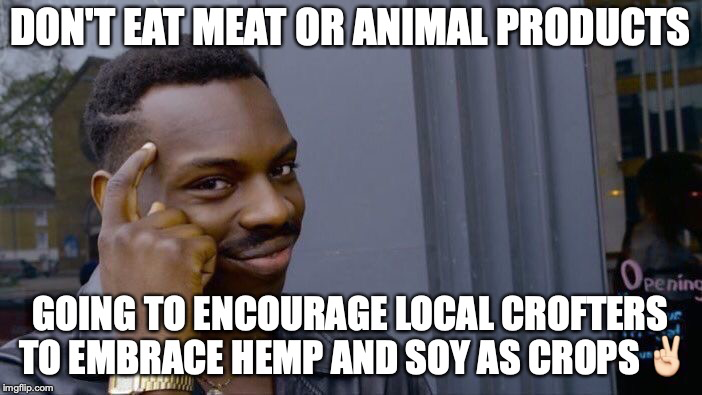 This meant that militant vegans have acted like the whole world has jumped on to their no butter, no honey, nothing that casts a shadow bandwagon, whereas most of these people were thinking of cutting out something other than booze, rather than the carbon cost of eating imported soy, or the horror of a cow being hung upside down and having its throat slit then chopped into bloody red chunks. 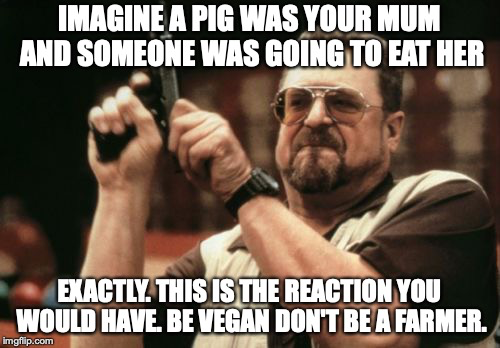 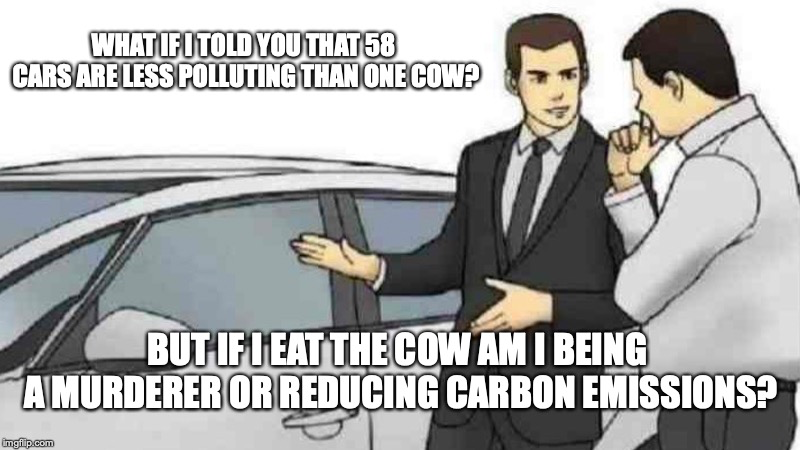 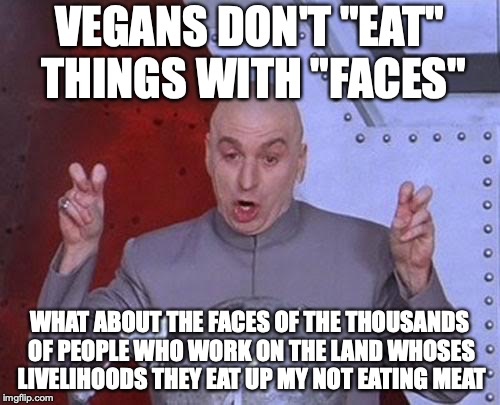 Characterised by low-res graphics, poorly thought-out analogies and bad spelling, the memes and shitpost have seen both sides resort to the type of behaviour that means any normal folk left on Facebook have pretty much done an “unfollow but stay friends” move on them because let’s be frank most people are neither vegan or a farmer.